The two airports that launched the Pharma.aero initiative are poised to get a direct all-cargo link, courtesy of Amerijet. According to Steven Polmans, head of cargo & logistics, strategic development of Brussels Airport Company, the Florida-based all-cargo carrier is preparing to launch a twice-weekly rotation between the Belgian capital and Miami. It will field a B767 freighter for the operation, which is slated for launch in the second quarter of next year. Pharmaceutical traffic will be a key commodity on these flights, as both airports have focused intensively on this segment. Brussels (BRU), which has a large pharmaceutical industry community on its doorstep, developed a programme that was later adopted by IATA for the CEIV scheme, and Miami (MIA) has led the CEIV charge of North American airports. Last year it clocked up a 48% surge in pharmaceutical throughput. Brussels registered 36% growth in pharma exports in 2016. BRU and MIA were the founders of the Pharma.aero organisation, which was formally launched in late October. It has since been joined by Singapore Changi, Sharjah and Mumbai airports, as well as a number of pharmaceutical companies and logistics firms. The declared objectives of the group are to intensify communication between the members, the creation of standards and protocols, innovation, sharing best practices, audit support and setting up a knowledge centre. Another key element is the aim of establishing corridors on major pharma tradelanes. “We need to work on end-to-end solutions. It’s no use if one part is doing a really good job if another part falls short,” Mr Polmans said. The new freighter link promises benefits beyond Miami. In addition to this connection, Mr Polmans is looking to Puerto Rico, another major centre of the pharma industry. 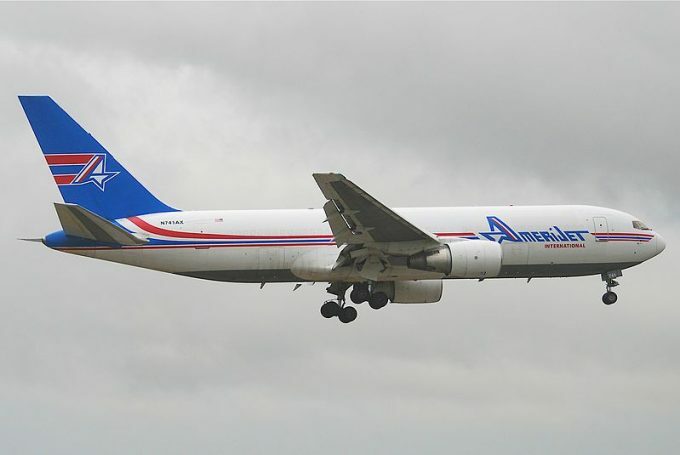 Amerijet, which operates an extensive network of destinations in the Caribbean and Latin America with its fleet of B767 and 727 freighters, runs six flights a week to San Juan. Mr Polmans noted that Amerijet was close to obtaining CEIV certification. “The new flight will be connecting to Amerijet’s Latin American network. This gives us a link to San Juan for pharma traffic,” he said. “And they also carry a lot of perishables from Latin America. That’s the second most important commodity for us after pharma,” he added. Amerijet changed owners last summer, when it was acquired by private equity form ZS Fund. As David Bassett, the airline’s founder, bowed out, the new owners brought in Vic Karjian, former chairman of Swiss carrier Farnair. He declared that the new management would follow the course set by the previous leadership, but indicated plans “to continue to grow and diversify our service offerings to create more products and opportunities to meet the needs of our current and future customers”. In November, Amerijet appointed Neel Shah to its board of directors, The former cargo executive of United Airlines and Delta presided over double-digit revenue growth at the latter carrier during his tenure.